WORLDWIDE PRESS STATEMENT FROM THE ALTERNATIVE MEDICINE CAMPAIGN. Alternative Medicine is Fundamentally Defined as being : " . . . Every Available (Art-Based or Science-Based or Religious or Hybrid) Approach to either Medicine , Therapy , Research , Care , Regulation , Faith , Spirituality , Learning , Health , Healing , Wellness , Prevention , Detection , Promotion and Wellbeing etc , (whether Holistic or Focused or Standalone or Supportive or Native or Traditional or Otherwise) , which does not Decisively (or Solidly) Fall within the Any of the Fundamental Professional Realms of either Conventional (Orthodox Clinical) Medicine or Conventional (Orthodox Clinical) Advice or Conventional (Orthodox Clinical) Treatment or Conventional (Orthodox Clinical) Health or Conventional (Orthodox Clinical) Care or Conventional (Orthodox Clinical) Detection or Conventional (Orthodox Clinical) Diagnosis or Conventional (Orthodox Clinical) Prevention or Conventional (Orthodox Clinical) Promotion or Conventional (Orthodox Clinical) Therapy or Conventional (Orthodox Clinical) Research or Conventional (Orthodox Clinical) Regulation or Conventional (Orthodox Clinical) Evidence or Conventional (Orthodox Clinical) Learning (et cetera , et cetera , et cetera) . . . "
Over the past few decades , or so , we have been Consistently Advising the Alternative Medicine Community to warmly join hands and Financially Contribute to the Sustainable Generation of Substantial Amounts of Robust (Clinical) Evidence ; specifically in relation to a Wide Range of (Highly Beneficial) Alternative Therapies. However , it sadly appears that many (out there) are still yet to get the Fundamental Basic Message that the Ethical Generation of (Very) Good Evidence ultimately (and usually) costs a Substantial Amount of (Very) Good Money. That is why we have remained relatively quiet over the Past Year (or Two) ; so that the Alternative Medicine Fraternity could duly Step Back , and (Carefully) Reflect. For the Avoidance of All Possible Doubt , please be advised that the Alternative Medicine Campaign is in Full Support of Evidence-Based , Safe and Effective (Alternative , Natural , Complementary , Integrated , Traditional , and Holistic) Health Care Interventions ; irrespective of whether they are offered by National (Government) Health Services or not. It is primarily up to the National (Government) Health Services, in Various Countries , to decide how best to Align their Exceedingly Scarce (Healthcare) Resources accordingly ; and it is not the Business of the Alternative Medicine Campaign to Wildly Dictate to them how they should duly spend their money. That is why we specifically refused to Intervene when the National Health Service (NHS) of the UK rightfully decided to balance it 's Fiscal Books ; notably when It Publicly Proposed to Summarily Delete a wide range of Conventional (Orthodox) and Non-Conventional (Alternative) Items from it's National Clinical Stockpiles. In the very same way that the National Health Service (NHS) of the United Kingdom is (Rightfully) Choosing which Particular Interventions to Endorse (within it's Meagre Financial Resources) ; the Alternative Medicine Campaign is also doing the very same thing too , in a Fair and Equitable Manner , since our Financial Resources are also Equally Limited (too). It is not right for the Alternative Medicine Campaign to continuously back the Same Old (Relatively Popular and Wealthy) Alternative Medicine Interventions , to the Profound Detriment of the Less Popular and Poorer (but SOMETIMES Relatively More Effective) Ones. To This Effect , Over the Next Few Decade (or So) , the Alternative Medicine Campaign will be primarily focusing on African Traditional Medicine (ATM) and Various other Elements of Indigenous (Native and Aboriginal) Traditional Medicines all around the World ; which (despite their Huge Amount of Supporting Evidence) have long been ignored by the Alternative Medicine Fraternity over the Past Couple of Centuries. Those who are Not Happy with this Approach are Perfectly Free to Launch (and Self-Fund) their Very Own Independent (Alternative Medicine) Campaigns ; at their Ultimate Financial Risk. Good Luck , and Remain Blessed. Thank You for Linking Up with Us. There are definitely lots of Ways in which we can Collaborate in a Professional (and Regulatory) Manner. One of the first things which we are doing is (formally) getting Professionals Certified (Internationally) as African Traditional Medicine (ATM) Doctors. There are various routes to this particular ATM Certification. Those who do not have an Accredited University Degree can do the Programme over 3 Years , while those who do have an Accredited University Degree can do it within a year. All Interested Parties should urgently send an online CV to us via LinkedIn ; and mark it directly for my attention. The Standard Course Fee for the Whole Programme is equivalent to the cost of attending a Private Medical University in Nigeria for One Academic Year. So , while such an amount will only get you One Year (out of 6 Years) in a Private Medical University ; it will get you a Full Programme for Certification as an African Traditional Medicine (ATM) Doctor , who can then go on to do Great Things with it. *PS : Those who Fully Pay their Fees before the Application Deadline (below) will usually get a 10% Discount. Those who Fully Pay their Fees after the Application Deadline (below) will usually not get a Discount. 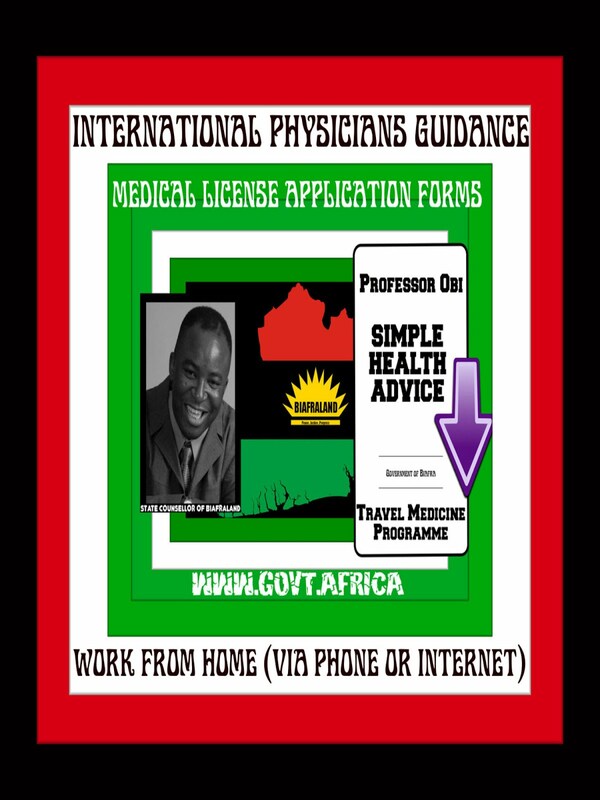 There are only a Few (Approved) Training Spaces left for those wishing to become African Traditional Medicine (ATM) Doctors ; via the Accelerated International Training Programme. The Accelerated Training Programme is currently only open to those who already have an Accredited University Degree (in any Healthcare Subject or Biological Subspecialty) ; and lasts for a Minimum Period of 12 Months. A Minimum Period of 9 Months will be spent on Distance (Internet-Based) Learning ; while a Minimum Period of 3 Months will be spent in a Clinical Setting. Those with Accredited Polytechnic (or College) Diplomas may also Apply too , provided that they have already acquired Lots of Clinical Experience in an Appropriate Healthcare Setting. All Applications must reach me , via LinkedIn , as soon as possible. Since this is a Brand New Course , we furthermore undertake to Ensure that Every Successful Course Participant will be offered a Stable Job upon Graduation ; within the African Traditional Medicine (ATM) Industry. While Chinese Traditional Medicine is Already (Fully) Operational (and Widely Promoted) in ALMOST EVERY KNOWN COUNTRY of the World ; not much is really (presently) happening in terms of African Traditional Medicine (ATM) , most especially outside the Hallowed Continental Boundaries of Africa. 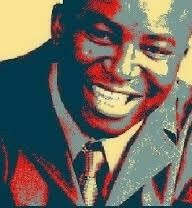 As Professor-in-Chief of the Alternative Medicine Campaign , Doctor Joseph Chikelue Obi Primarily Aims to (Formidably , Ethically , Swiftly , Globally , Professionally , Commercially , Academically , Holistically , Sustainably and Otherwise) Roll Out , an Appropriate International Avalanche , of Expert Interventional Strategies ; for Robustly Rectifying this (Utterly Alarming) Oversight. 'Student A' was a STAR CANDIDATE , in His Final Year of Medical School , when He Accidentally Enjoyed an Utterly Amazing Avalanche of Rampant Romantic Escapades , with the Secret (Long Term) Girlfriend of One of His Top Clinical Professors. Although the (Highly Accomplished) Faculty Professor was (Happily) Married with Lovely Kids , He Had (Hitherto) Seriously Depended on the Extremely Beautiful Girl for (Emergency) Moral (and General Sexual) Support. Since the (No-Nonsense) Professor had Formerly Served as (Honourable) Dean of the Faculty of Medicine , (Distinguished) Provost of the College of Health Sciences , (Renowned) Chief of Surgery , Revered (University) Deputy Vice Chancellor and (Hallowed) National Medical Council Board Chairman ; He was Ultimately a Very (Very) Powerful (Political) Clinical Figure (Indeed). All of a Sudden , the (Hitherto Highly Intelligent) Male Medical Student mysteriously started Failing ALL of His Assessments plus ALL of His Clinical Attachments , and ALL of His Medical School Exams. His Poor Parents were Totally Distraught , since they had Already Mortgaged their Family Home , simply just to Put him through Medical School , and were (previously) Hoping that he would rapidly take over the Monthly (Bank Loan) Payments , as soon as He Graduated.
. . . But Worse Things were Still (Yet) to Come . . .
A Grand Meeting of Top Medical Doctors was Hastily Convened , and (in His Notable Absence) , it was Universally Decided that He was Not Fundamentally Suitable to Ethically Graduate as a Medical Doctor.
. . . So , (Without Notice) , They (Unceremoniously) Kicked Him Out of Medical School , (in Total Disgrace) ; only few months before He was due to Formally Graduate as a Medical Doctor . . .
. . . Of Course , the (Rightfully Expensive) Top Lawyers , Senior Barristers and Eminent Solicitors then swiftly moved in (En Masse) , Loudly Quoting (Almost) Every Plausible Legal Statute on the Planet on the Student's Behalf ; but No Court (or Tribunal) could ever Overturn his Rustication . . .
A Few Years Later , while he was working as a (Part-Time) Pizza Delivery Guy , the Former Medical Student kindly stopped to Help a Tall Black Man ; whose (Outrageously Temperamental) Vintage Mercedes Car had suddenly decided to Go on Strike . . . The (Ex) Medical Student noticed a Few Healthcare Books in the Back of the Car and they both started Eagerly Chatting about General Health Topics ; until the Vehicle Recovery Services eventually arrived to Competently Tow the Classic Merc Automobile away , for Appropriate Mechanical Repairs. After Exchanging Contact Details , the Pizza Delivery Guy went on his Way and the Tall Black Chap got a Taxi and Headed Off to his Pre-scheduled Appointment. Throughout their Discussion , the Former Medical Student never ever even Mentioned Medical School at all : He simply presented Himself as someone with an Insatiable Interest in Current Healthcare Issues. Eight Months Later , I received an Utterly Disturbing Phone Call from an Excruciatingly Anxious Woman ; who was obviously at the Very End of Her (Human) Tether. Her Only Son had just Attempted to Kill Himself , and She urgently wanted Someone to (Intensely) Talk to Him. She claimed to have (Miraculously) found my Business Card in one of His Old Pizza (Courier) Jackets , and (After a Rather Quick Internet Search) , was Extremely Curious as to why He would Secretly have my Professional Card in His Pocket. It Later Emerged that Her Most Precious (and Only) Son had just been Discharged from Casualty (ER) , as Case of a Patient who was 'Crying for Help'.
. . . And Cry Out To Me (For Help) , He (Most Certainly) Did. Apparently , Over the Previous 5 Years , His (Ageing) Parents had Unsuccessfully Tried to get Him into Every Medical Shool in the Country ; as a Final Year Student. Every Time , At the Very Last Minute , His Nemesis (The Super Professor) would Brutally Sabotage Everything , and (Decisively) Block His Efforts. His Parents were Now Destitute (because of Him) , and that was why He sometimes (Half-Heartedly) wanted to End It All. When He had Finished , I Reciprocally Told Him about My Very Own Life Story. At the End of the Talk , He Firmly Realized that there was Still a Glimmer of Hope , Somewhere Out There ; for Him. I Constantly Mentored Him , over the Phone , for the Next 3 Months. After That , I frequently sent Him a Few (Current) Medical Books Every (Blessed) Week , to gradually get Him back on Track. When the Time was (Absolutely) Right , I Comprehensively Assessed His (Professional) Clinical Skills ; and then (Carefully) Gave Him (and His Parents) Some Very Bad News (Indeed). 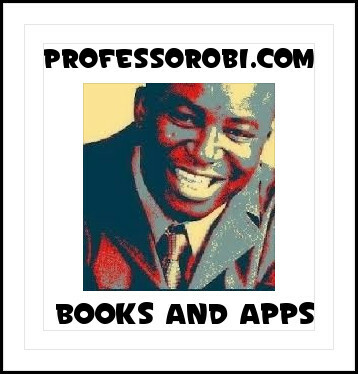 The Bad News was that I , the Amazing Professor Dr Joseph Chikelue Obi , had Woefully (and Spectacularly) Failed to find any Accredited Medical School on Earth which was Unreservedly Prepared to Accept Him Back into their Final (Graduating) Year. BUT I DID , HOWEVER , (PATHETICALLY) MANAGE TO CRAFTILY CALL IN A FEW FAVOURS , from Some (Long Lost) Friends of Mine ; who were Perfectly (and Gallantly) Willing to IMMEDIATELY Accept Him directly into their Penultimate Clinical Year (Instead).
. . . HIS (LONG-SUFFERING) PARENTS ALMOST FAINTED (OUT OF JOYFUL DISBELIEF) . . .
. . . Today , He is a Fully Qualified (and Fully Licensed) Medical Doctor , who , sometime in the Year 2017 , (Proudly) Purchased a Tiny , Little , (Semi-Dilapidated) , Maisonette Apartment ; for His (Absolutely Fabulous) Parents . . .
. . . Alas , Sadly , The Pretty Young Girl , Above , Eventually Dumped the Top Medical Professor , plus All the Rest of Those who somehow happened to (Luckily) Find Themselves on Her Very Long List of (Utterly Besotted) Medical School Boyfriends. She is now the Permanent 'Side-Piece' of a Very , Very , Wealthy Russian Oligarch . . .
. . . Unsurprisingly , The Emeritus Super Professor has Still Not Forgiven Me to Date ; and (Most Probably) Never (Ever) Will . . .
What is the Definition of Alternative Medicine ? What is Alternative Medicine ? How can Alternative Medicine be Defined ? What is the General Definition of Alternative Medicine ? What is the Best Definition of Alternative Medicine ? What is the Most Accurate Definition of Alternative Medicine ? What is the Modern Definition of Alternative Medicine ?
" . . . Every Available (Art-Based or Science-Based or Religious or Hybrid) Approach to either Medicine , Therapy , Research , Care , Regulation , Faith , Spirituality , Learning , Health , Healing , Wellness , Prevention , Detection , Promotion and Wellbeing etc , (whether Holistic or Focused or Standalone or Supportive or Native or Traditional or Otherwise) , which does not Decisively (or Solidly) Fall within the Any of the Fundamental Professional Realms of either Conventional (Orthodox Clinical) Medicine or Conventional (Orthodox Clinical) Advice or Conventional (Orthodox Clinical) Treatment or Conventional (Orthodox Clinical) Health or Conventional (Orthodox Clinical) Care or Conventional (Orthodox Clinical) Detection or Conventional (Orthodox Clinical) Diagnosis or Conventional (Orthodox Clinical) Prevention or Conventional (Orthodox Clinical) Promotion or Conventional (Orthodox Clinical) Therapy or Conventional (Orthodox Clinical) Research or Conventional (Orthodox Clinical) Regulation or Conventional (Orthodox Clinical) Evidence or Conventional (Orthodox Clinical) Learning (et cetera , et cetera , et cetera) . 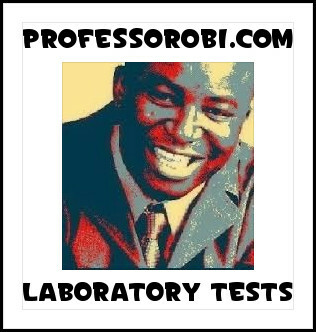 . ."
Ever the Controversial (Political) Maverick , Prof Obi Sensationally Shocked the Online Clinical Fraternity by Quietly Publishing this Highly Explosive (November 2016) Alternative Medicine Definition on the (Highly Influential) LinkedIn Professional Social Network , rather than on his Public Google Plus Profile (which would have Globally Generated FAR Much More Publicity). Sources Close to the (EMINENT) Top Black Politician are (currently) not commenting as to whether his Latest Move is to be seen as a Major (Retaliatory) Snub to the Whole Google Establishment ; after it Shockingly Emerged that (Certain) Google Staff in London (UK) had Secretly been induced to (Politically) Work Against Him. 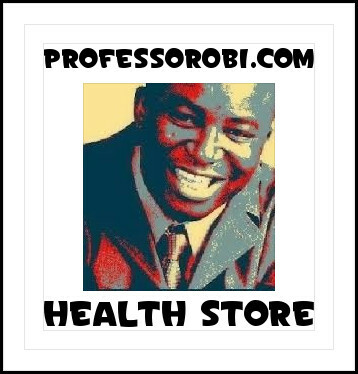 For the Record , Dr Obi is a Fully Licensed International Medical Practitioner , (i.e a Duly Qualified Physician and Surgeon) , who currently Serves as Professor-in-Chief of the Alternative Medicine Campaign. 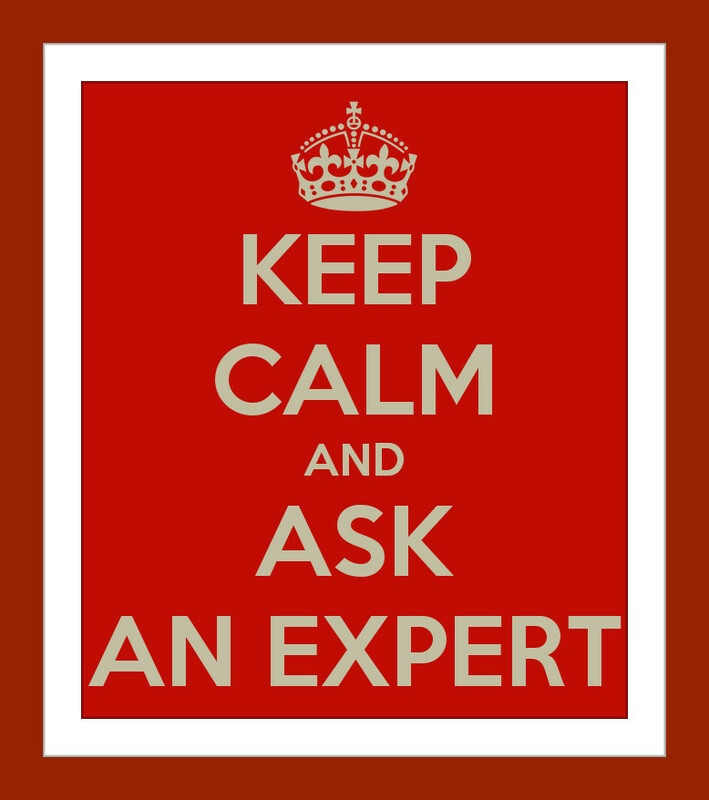 He can easily be contacted via either http://www.ClinicalAdvisers?.com , or through his Official LinkedIn Profile. Alternative Medicine Fertility Support Clinics For Men are now available in all major International Cities. Kindly click on the email link below to contact us discreetly. Price Plans start from just £99 Per Consultation. * We also run Eclectic Professional Training Workshops for those who wish to train to become Qualified Fertility Support Consultants . Always Act Responsibly at All Times. It is your due right to comprehensively educate yourself concerning Basic Relevant Health Issues and Helpful General Medical Knowledge. You also duly have the unquestionable right to lawfully seek Helpful (Wellness and Wellbeing) Information ; with the Ultimate Aim of making wise use of it for your own benefit, and that of your family. Always remember that You are the main person who is fundamentally responsible for your (very own) Health. However , in order to make Sensible Decisions in all Health Matters, you must appropriately educate yourself. The Informational Views , Educational Material and General Clinical Support Guidelines expressed by us are not intended to be a substitute for Conventional Medical (or Health) Services. We are Here to Lawfully Empower You in a Safe , Monitored , Efficacious , Consistent , Accessible , Affordable , Holistic and Evidence-Based Manner. Our Wellness Practice is Fundamentally Different from many others (out there) because we always encourage the Lawful Use of Approved DIY Clinical Monitoring Equipment (and Home Testing Kits) ; so that our Clients Progress can be Jointly Monitored. If you have a Severe Medical Condition (or Emergency) , then you must urgently contact your Nearest Hospital.